OH WHAT ANOTHER SHAME!! NOW THEY ARE DUMPING MILLIONS SPENT ON COCONUT PLANTS. For the benefit of those who are too young to remember and for those including the historians who feign convenient amnesia as political expedience, please be aware that after the devastation by Hurricane David in 1979 ,Dominica launched a very successful coconut rehabilitation program. It was due to conscientious government oversight that the coconut rehabilitation program of the 1980’s yielded great results. We saw the growth and rapid development of Dominica Coconut Products Limited (DCP), which was then sold to Colgate Palmolive. Farmers had the distinct pleasure of either selling their coconuts to DCP, Colgate Palmolive or even exporting the raw coconuts to the reginal markets. Before we unleash the details of yet another” Hall Of Shame ” dumping occurrence within the Roosevelt Skerrit administration, it is also important that we remind Dominicans of our reports on the buried coffee beans and the discarded potato seed fiasco that costed tax payers over 10 million dollars. In a desperate effort to jump start a desultorily planned coffee factory that was donated by the late Hugo Chavez , the Roosevelt Skerrit administration imported almost 5 million dollars’ worth of coffee beans in order to fire up the roasters at the coffee factory in One Mile Portsmouth. Up to today not one coffee bean has ever been roasted at the One Mile Coffee factory and the container loads of imported coffee beans were clandestinely and irresponsibly buried in the back of the coffee factory. Container loads of potato seeds meant for the development of potato farming were also discarded due to government mismanagement and corruption. Now let’s hear senior counsel Wee Wee Pequinio and despicable Clarence Christian blame innocent people for yet another snafu, as the Roosevelt Skerrit government is about to dump two container loads of coconut plants which were purchased from public funds. We are asking the patriotic people of Dominica to keep their cell phone in camera mode as the dumping date is carded for Thursday August 2 ND. We have received reports that the Ministry Of Agriculture’s Reginald Thomas and Ricky Brumant(Frick and Frack) have been trying to figure out how to get rid of the coconut plants such that the public remain in total oblivion. From all indication Frick and Frack have decided to burn the plants somewhere at the Landfill. In preparation for the disposal procedure the two 40 feet containers were taken from the port and placed somewhere in Canfield and so the patriots with their recording devices must be on the lookout for two 40 feet containers coming out of Canefield heading towards the Landfill. Unless MiTC reporting alters their plans. 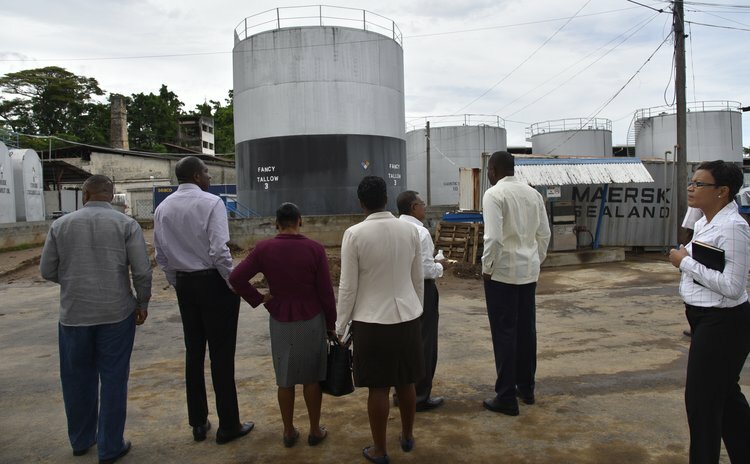 We understand that the plants were purchased under the cover of hurricane relief however procurement protocol and quality assurance system were not adhered to. 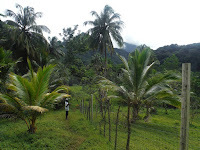 According to our sources the imported coconut plants do not comply with the phytosanitary import requirements and therefore do not have a Phytosanitary Certificate. The coconut plants as reported are not just considered prohibited but are also defective. 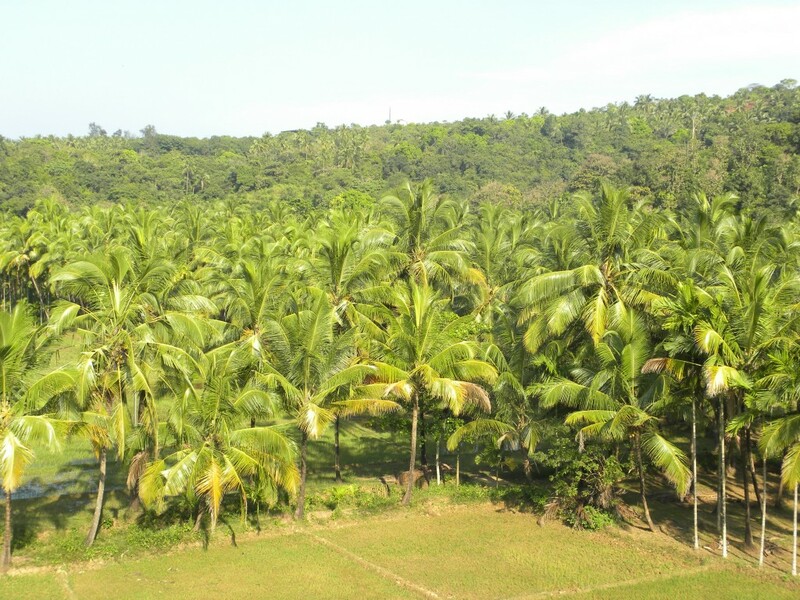 It is also our understanding that in addition to the strong stance taken by the plant protection department against the use of the illicit coconut plants , the farmers themselves have shown very little interest in planting coconuts, as coconut trees generally start producing after 5-6 years. Also with the threat of more severe and frequent storms there is elevated risk in long term crop investment. With the threatening extinction of coconut farming in Dominica the patriots of Dominica must begin to demand some accountability for the $1Million check that was given to Ivor Nassief for the reinstatement of Dominica Coconut Product manufacturing. There are swirling allegations that the coconut plants may have been purchased through an under-table transaction and that the entire procurement process bare the resemblance of the garbage bin bobol. We must state though that we do not have the evidence to suggest that there were under the table deals however we know for a fact that due process and protocol were ignored. 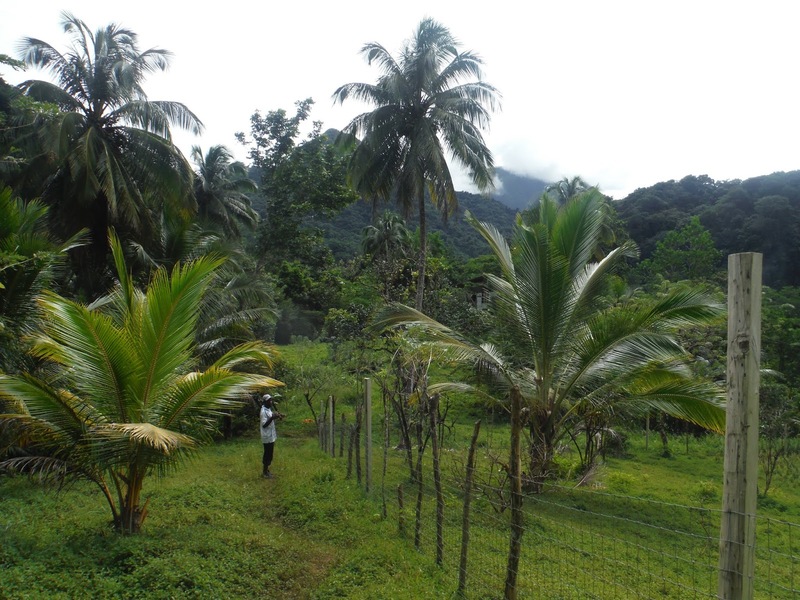 We took some time to speak to a few agricultural professionals who have expressed concerns with the way in which the government decided to approach a coconut rehabilitation program. It is suggested that the coconut plants could have been obtained from the farmers in Dominica as opposed to sourcing the plants out of Mexico. As stated by the professionals, the hurricane may have destroyed many coconut trees but the actual coconut plants remain and may be so in abundance. Such was the case after hurricane David. 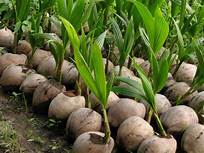 It was also stated that the indigenous coconut plants would be much more resistant than that which was imported. The severe incompetence and callousness that continues to emerge from the Roosevelt Skerrit administration is not justy because of mass corruption and misplaced puppets in high offices, it is also as a result of a corrosive civil society where many in the intelligentsia continue to perpetuate intellectual dishonesty. The institutions responsible for civic and moral guidance, the church and media are also way too busy engaged in myopic pretense. What we have in Dominica is a government administration that is brutally disingenuous and unanswerable to the people that they serve. MiTC reported on the disgraceful dumping of millions of dollars’ worth of coffee beans and potato seeds and the government has remain guilty yet audacious in their continuous betrayal of public trust. Today not one media house in Dominica has demanded answers from the government and its misplaced puppets in high offices; not one question asked about the Coffee beans let alone the white elephant coffee factory in One Mile. We do not expect a different reaction from civil society on yet another loathsome waste by the Roosevelt Skerrit administration. What we do expect though is that the silence of the people will be represented as consent for a reprobate government administration to keep going from bad to worse, corruption to despotism and an unrelenting attempt at keeping the people poor , dependent and bamboozled.